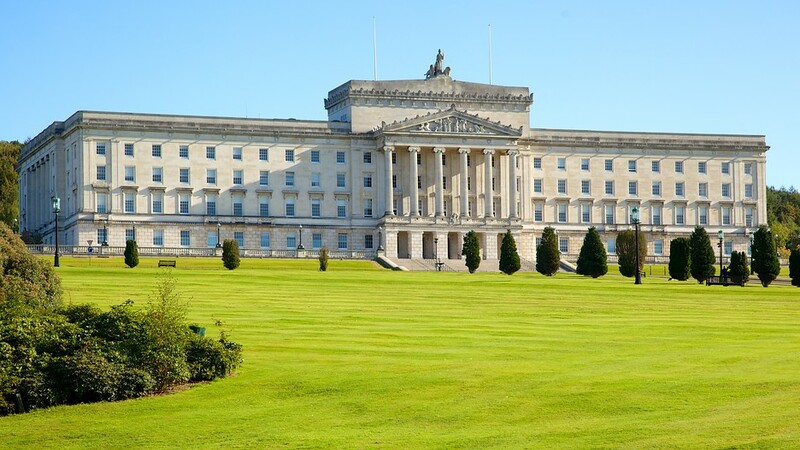 Northern Ireland Assembly elections have been set for 2 March, and the current the governing body at Stormont, elected just eight months ago, will be dissolved 26 January. The Assembly will be reduced to 90 seats, or five member for each of the 18 constituencies, from the current allotment of 108 seats, or six representatives per district. The reduction was previously planned. “Stamina will be required for a campaign in which many issues will be raised, including (the renewable energy scandal known as) “cash for ash”, Brexit, health, education and jobs, but, as usual, Orange versus Green will dominate,” Gerry Moriarty writes in The Irish Times. Stormont, the Northern Ireland Assembly building. This entry was posted in Northern Ireland, Politics and tagged Brexit, Northern Ireland Assembly, Stormont on January 17, 2017 by admin.